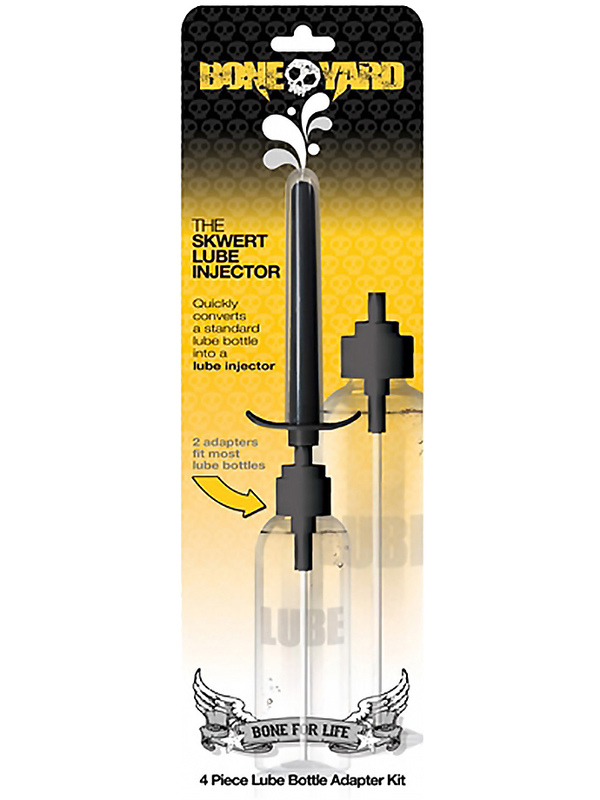 The Skwert Lube Injector quickly converts most lube bottles into a lube injector. Forget those messy syringes, the Skwert Lube Injector makes deep lubrication much easier. The 4” (10cm) interchangeable plastic injector comes with a small and large lube bottle cap. The injector has a special pump system and comfortable finger pump holds, that lets you inject the perfect amount of lubricant with no backflow. The injector also comes with a sanitary storage/travel cap. The hose attachment can be cut to fit multiple size bottles. Care Instructions: Wash thoroughly with mild soap and warm water and/or toy cleaner. Pat dry and allow product to completely air dry. Store separately.